Property 6: House 6 people, private pool. Property 20: House with stunning views, unique, contemporary and full of charm. 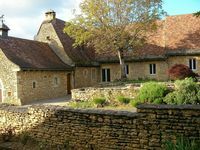 Cottage of charm and character, 220 m2, quiet, between Sarlat and Lascaux. Property 21: Cottage of charm and character, 220 m2, quiet, between Sarlat and Lascaux. Property 22: Farmhouse covered walk-in slate Périgord Noir. Le Gite du Flamant Rose, close to Sarlat-la-Canèda. 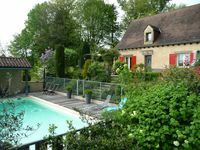 Property 37: Le Gite du Flamant Rose, close to Sarlat-la-Canèda. What a beautiful region to explore! The house was beautiful, very clean and very well maintained. Everything you could need is available in the house. It is a perfect location from which to explore the region.